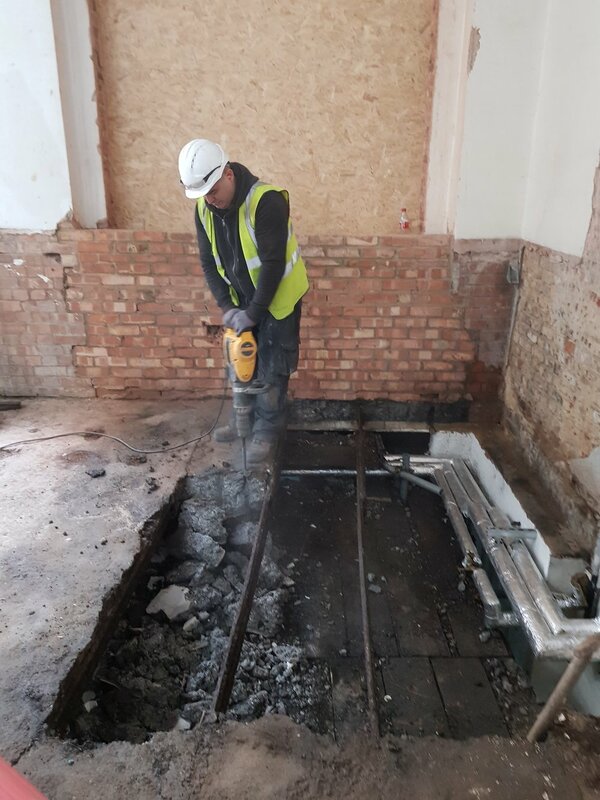 Team carefully removing some of the slab at Curtain Road onto our crash deck below so the new sump pumps can be installed in the basement. Some good progress on site!!! Forma London are proud to announce that we have been approved as members of the National Federation of Builders including within the Heritage Group of contractors able to undertake heritage works on behalf of clients. Just received the images from the photoshoot by http://billybolton.com/ of Decca Radar Station. On this particular project we were fortunate enough to get to work for not 1 but 2 absolutely incredible and talented design teams in Michel Schranz Design & Architecture and Johnson Naylor Interior Architecture. The end results as you can see from the photographs are an extremely carefully and well thought out design where the finishes all fit seamlessly together. Here is a few snaps from the shoot which happened a few weeks ago, taken by the very talented Will Wiesner will@willwiesner.com. The design for the space was put together by the equally talented Sam and Ummar of www.rashidmcneil.com. The client Mixcloud www.mixcloud.com had a vision for the space which was delivered by our team and following the completion of the project an amazing launch party took place (thanks for having us along to help celebrate!!!) during which we received so much positive feedback on the work we completed. A great and fun project all round! The internals at Colony Mews were progressing well today. We are looking forward to seeing the finished product on this one. 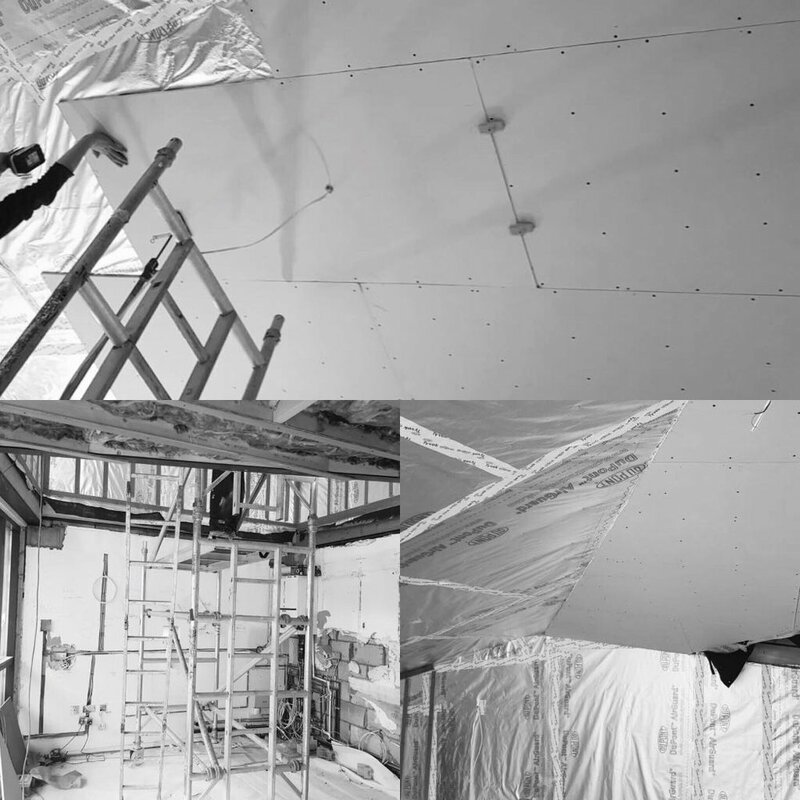 Installation shots from site where the new mezzanine floor and roof structure was installed during the course of last week. 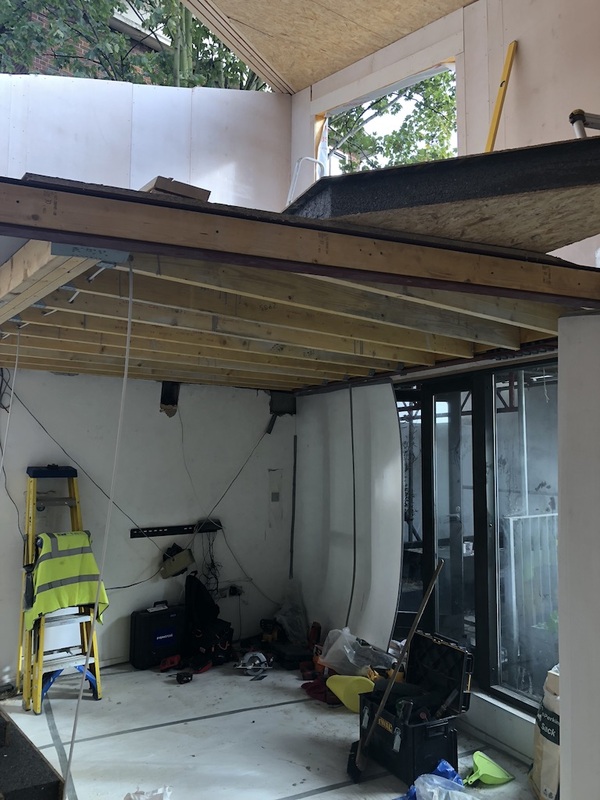 Utilising a SIP structural insulated panel solution we have been able to manufacture off site an extension to sit on a new ring beam installed within the walls of this existing property. During the course of last week the steels were placed on pad-stones creating a fixing point for all of the panels. By the end of last week the structure was completed and we are now installing the windows and skylight. Looking great and a fantastic solution. 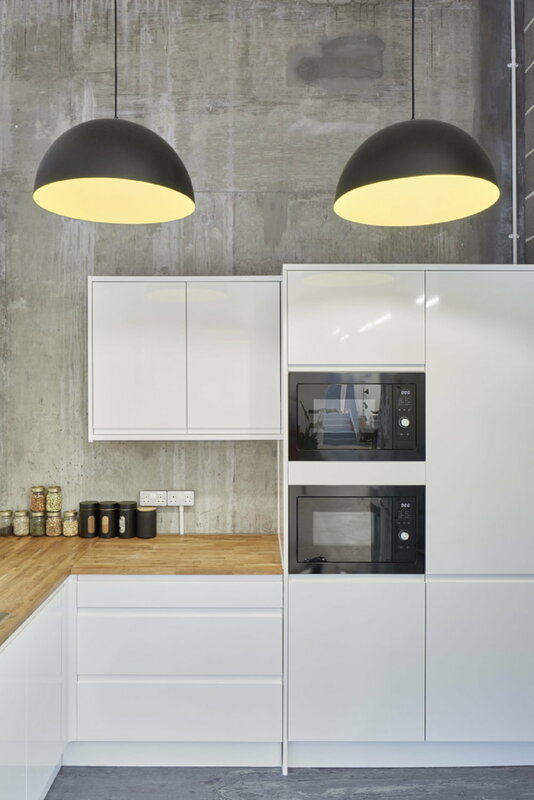 In the last week FL have successfully negotiated the delivery of a Hackney warehouse space into Commercial Offices for a very cool company...details on this to follow. Progress in Dungeness has been excellent with the screed completed and the timber framework for pocket door and the beds raised platform are all coming along nicely. Sample approved for the herringbone brick floor so looking forward to this going down shortly. 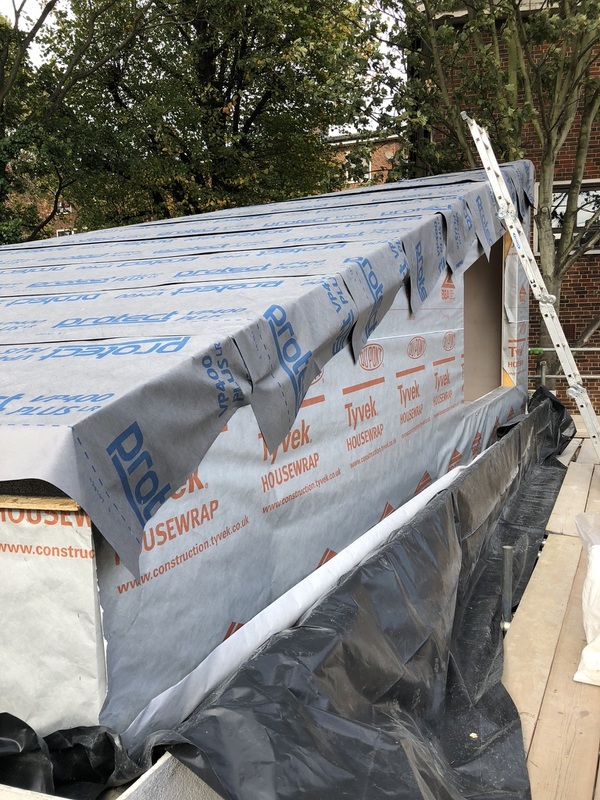 We have secured a full residential design and build project in Fulham with strip-out works about to start with the design and planning all ongoing to fast track this fantastic project for the client. In the past 3 months we have also managed to tender over £1M of new opportunities and counting that we are hopeful for some appointments from. James and Matt have headed off to the coast once again to see progress on an exciting project in Dungeness. Once all the finer details on the services internally and joinery are confirmed we can hopefully start to pull the amazing interior together. After a very busy and exciting 2016 we have finally completed the website just in time for a Christmas launch. All the Forma London team would therefore like to thank everyone who we have worked with and for during 2016 and to wish you all a very Merry Christmas and a Happy New Year! !